Karen Foy Grossman is a maritime trial attorney with experience representing multinational clients in all aspects of civil litigation since 1988. 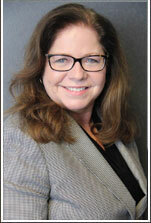 Ms. Grossman specializes in the defense of cruise, cargo, yacht and recreational vessel owners. She successfully handles sensitive claims including missing persons, sexual assault, catastrophic personal injury, and death. Ms. Grossman has represented all major cruise lines, during which she acquired a broad understanding of port and shipboard safety. Ms. Grossman’s experience working with marine insurers, protection and indemnity clubs, and Underwriters at Lloyds ensures clients’ legal disputes are resolved in a prompt and effective manner.